We love when our community asks us questions. We wanted to put some of the most asked questions in one spot for your convenience. 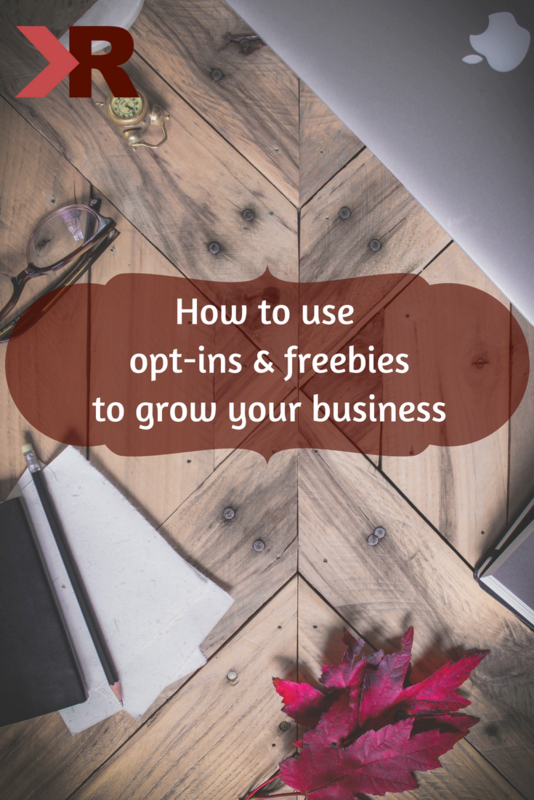 What does a valuable opt-in (freebie) do for my business? 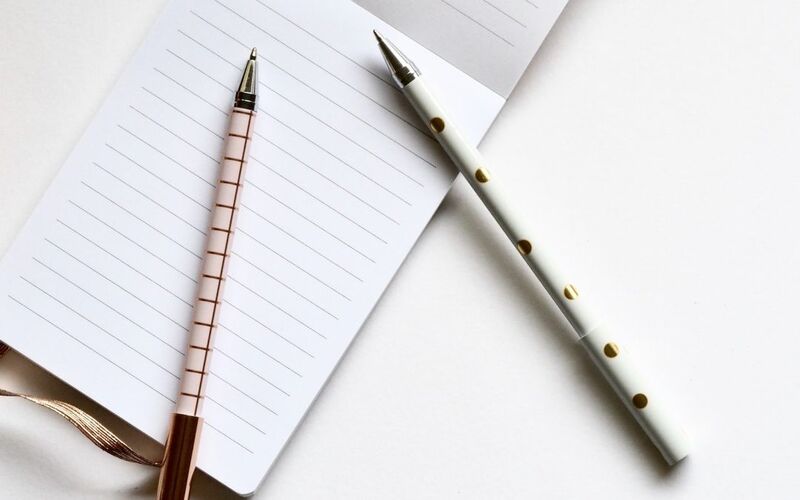 Utilizing a valuable opt-in allows you to turn followers into paying customers by getting them off Instagram, Facebook, or Pinterest and giving them a second touch point of contact. Opt-ins give you security by getting people on your email list in case social media were ever to disappear. We are renting our spot on social media; we do not own those followers. When we can get followers off of social media and onto our email list, it takes your relationship to the next level. The know, like, and trust factor is stronger, but also they now are on the email list that I own. 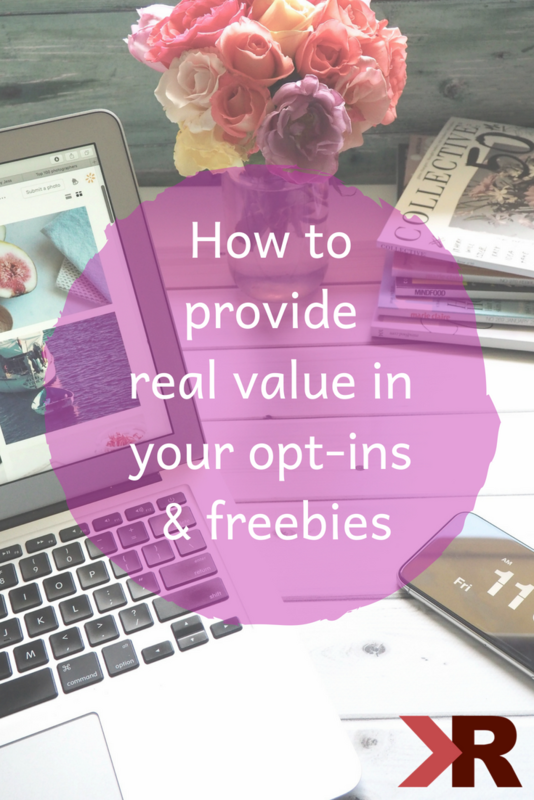 A valuable opt-in offers a solution to a pain point of your ideal customer. It allows them to go from follower to being on your email list, which improves the relationship you have, and makes it more likely they will become an ideal customer. What does a valuable freebie look like? 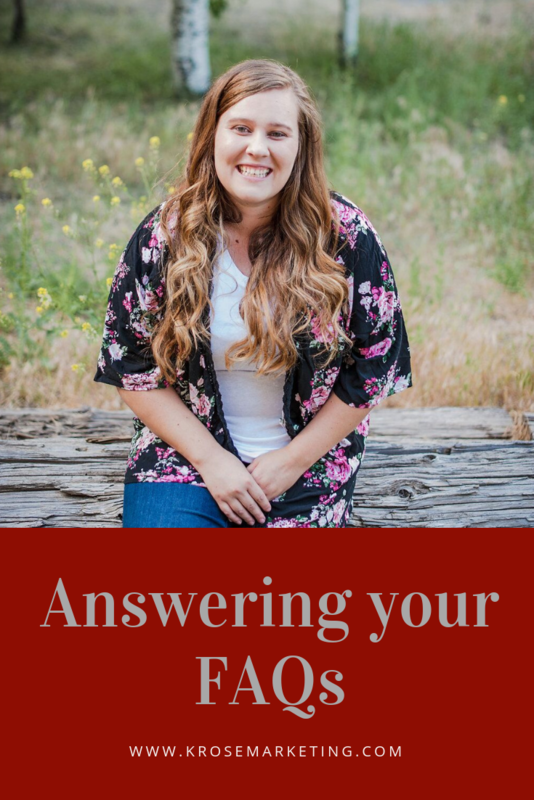 This answer is really specific to you and your business. Valuable freebies should have actionable items that your ideal customer can do in the next 30 minutes to move their business forward. The biggest hangup I see is that most business owners use too wide of a range on their ideal customer. Instead of envisioning one person walking into a room, they are either looking at who they’re currently serving or they’re looking at a crowd of people. To make a valuable opt-in, you need to envision one person walking into the room. This is the person who your products/services are best suited for, who may not be the person you are working with today. So who are your products best suited for? The reason we narrow that down so specifically — by age, gender, income, family life, hobbies, etc. — is because what you provide in value to a single mom who is 40 and makes $40K a year is vastly different from what you’d supply a recent college graduate in their early 20s who is recently married with no kids and makes $100K a year. 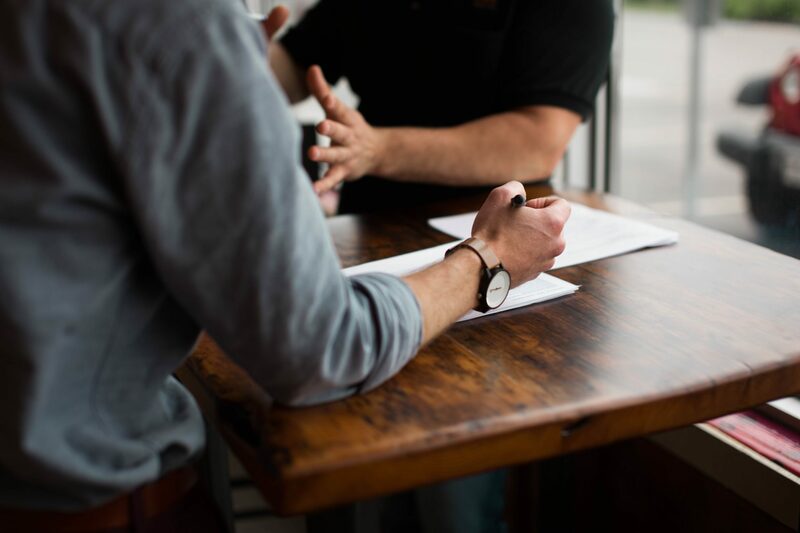 A valuable freebie needs to be something actionable you can give your customer that solves an immediate pain point, something that is keeping them up at night. If you don’t have your ideal customer nailed down, it’s very hard to give a valuable freebie to them. One of our most popular opt-ins is the monthly success guide. How do service-based businesses grow when the service you provide relies specifically on you? I’m a big believer that we can no longer only trade hours for time. When you’re in a service based industry, you have to outsource. You might not outsource the thing only you can do, but there are a lot of things that someone else can do for you. Someone else can answer the phone, send emails, or post on social media. Someone else can package your product, proofread your product, ask for testimonials, all of these things. If someone else can’t do those, if you’re running all the aspects of your business, someone else can clean your house, do your laundry, cook your meals, watch your kids. It’s very tough to get ahead and to have a booming, successful business when you’re simply trying to trade hours for time. What I encourage my customers to do is to look into affiliate income — income that works while they sleep. Share products you love and get an income from that or join a tribe that helps generate an income. Think about the “one to many method.” How can you change your protocol from one to many? Finally, I recommend doubling your prices. 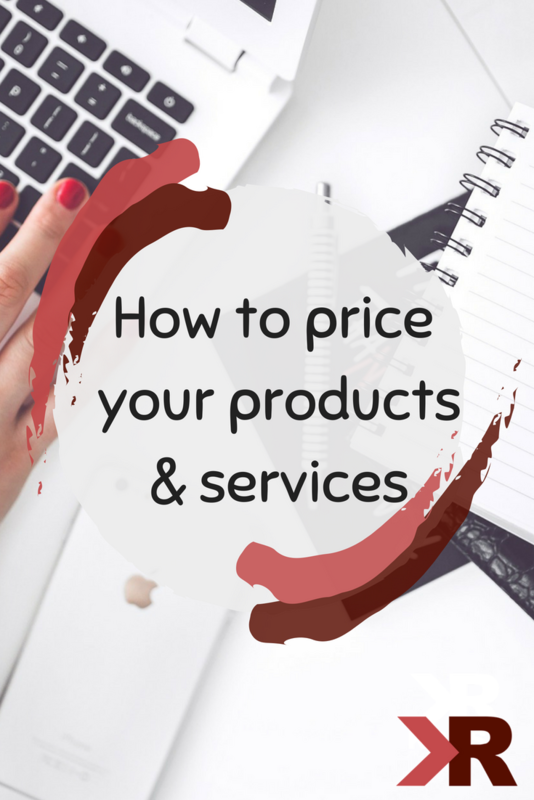 If you feel like you’re running out of time in the day, your prices are certainly not high enough. How personal should I get with my business social media to show ‘behind the scenes’? I say this is the comfort level question. How comfortable are you showing the behind the scenes? I want to remind you is the more your customers know, like, and trust you, the more they see your flaws, the better your business will be. I don’t mean you need to go online tomorrow and post every flaw you have for the world. I don’t recommend that, but your audience wants to know you’re human and you don’t have it all together because that is relatable. Perfection is not obtainable or relatable. When you can show your followers the human side of your business, they will love it. It also allows them to know your “Why.” Why are you doing what you’re doing? If they believe in your “Why” they are going to buy in to your service or product ten times quicker. How much should I price my product/service? I can almost guarantee your price is too low. I would like you to double your price tomorrow and see what happens. I discourage you from comparing your prices to your competitors because everyone’s life is very different. I want you to take the hours in the month you want to work. If you want to work 4 days a week and you want to put in 8 hours a day, that is 32 hours a week, and 128 hours in the month. If you want to get paid $55/an hour you can’t just stop there. Now you need to find out the overhead costs — do you have an office? Do you use printer ink? Do you use Active Campaign? 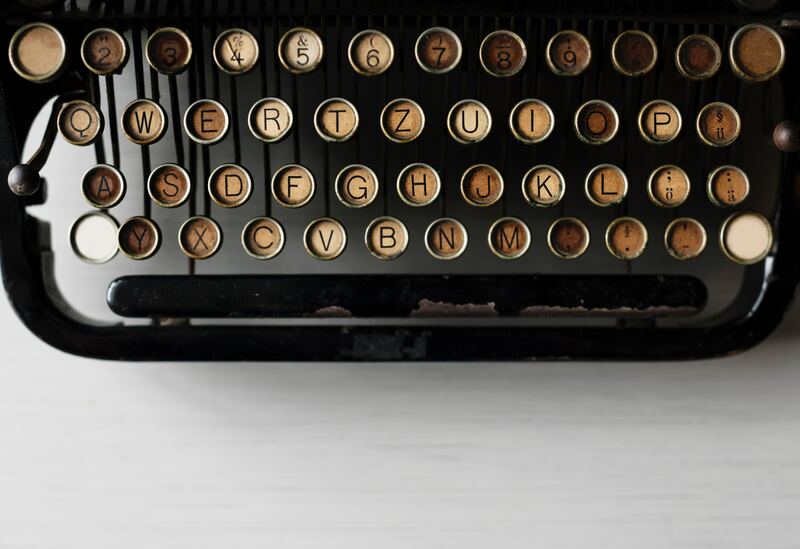 Do you have LeadPages? Do you have a designer? Do you use fuel to get to the meetings? Then you have to think about everybody on your team who is going to be interacting with this project. Do you have an onboarding meeting? Do you have a bidding process? Do you have In person meetings? Do you have someone who is reaching out about testimonials? Do you have someone who is going to proofread the work? You need to add up all those hours and calculate in all the fixed-cost expenses for running your business. Figure out how much that all costs per hour in your ideal month. Then you need to add on a profit – 10, 20, 30 percent profit margin. Lastly, you need to add on things you’re not thinking about today. Are you traveling to meet with them? Do you have to stay overnight in a hotel? Add that up. That’s how you price your product and service. 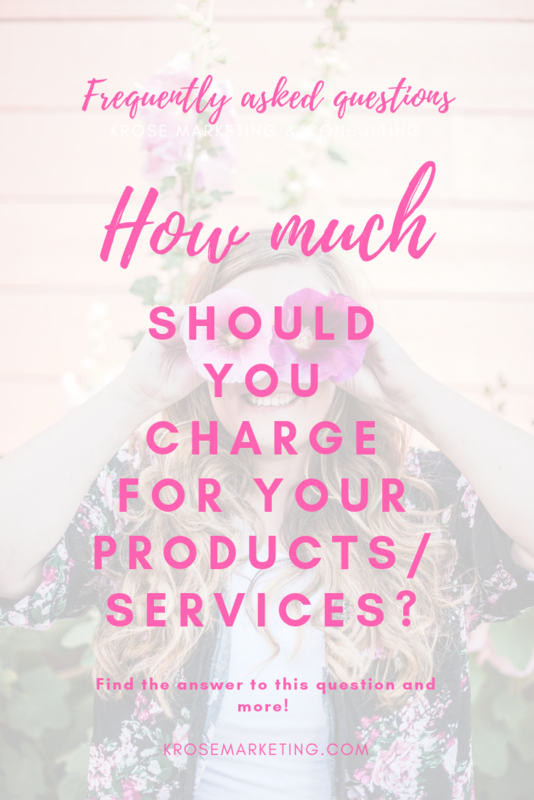 The biggest mistake I see small business owners make is pricing their product at what they want to make in their pocket at the end of the day. But what they forget about is the email service, website, time, bidding process, meetings, the email asking for a testimonial, the design program they’re using. You’ll never be able to scale your business the way you want to because you’ll always be playing catch up. Talent and demand also plays a role in pricing. Your prices are not high enough if you have higher than a 50 percent success rate on your bids. If you get more than 50% of the bids you sent out, you need to raise your prices. What’s the difference between a Facebook page vs Facebook group? A Facebook group is more intimate than a Facebook page, but you should start out with a page first. Groups allow you to cultivate more community and welcome new members. We like to see it as the next level. Our page is the first level — let’s get to know KRose — and our KRose Marketing Group is the next level. The beautiful part about a Facebook business page is that you can run Facebook ads. I think every business owner should utilize Facebook ads. You can reach people who are not already following your page. If you have a group, I recommend your group be private because you want to open the doors for people to ask tough questions, and if it’s public, they won’t. On the other hand, in a private group, you’re not reaching new customers, but just preaching to the choir. As a business, it’s really important we are growing. The nice thing about Facebook pages is that you can reach new customers, run ads, and it gives you more scheduling options. I highly recommend every business owner have a Facebook business page. I know Facebook has been cracking down even more than normal on people who are selling on their personal page. If you’re going to have a group, you should post in it frequently. It’s a lot more work than most people realize or are prepared for. It doesn’t do you any good if you just have a Facebook group but aren’t cultivating that community by asking questions and reaching out. Invest time in a page first, then move onto creating a group. Wow, this is such an excellent guide for small business owners, even if they’ve had a business for several years. Thank you so much for posting! Your monthly success guide is not working as a link. Can you update the link so we can access an example of a freebie?